This episode is airing on the morning after United States vote for their 45th president. But regardless if you’re celebrating or mourning the election results, I’m sure we can all agree on one thing: we should have waaayyyy more options for vegan pizza. Right? Mike Hill, Director and Chief Pizza Taster of One Planet Pizza, certainly thinks so, and he’s no rookie in the field of vegan business. He started his first company fresh out of university – a vegetarian pub that played live jazz music and didn’t allow smoking. Unfortunately, this was in the early 80s, and a non-smoking vegetarian pub in Norwich, UK, had a potential customer base somewhere in the very low double digits, according to Mike. They went broke in under a year, but as you’ll see, that didn’t stop him from pursuing other ventures that would cater to the plant-based crowd. Fast forward to 2016, and Norwich is a different place. UK is a different place altogether, with over 10% of the population now following either a vegetarian or a vegan diet. Some things are still lacking though, and vegan pizza options, like mentioned before, are among them. (I love pizza, can you tell). At this point, Mike already had three decades of business experience behind him, as well as an established restaurant business with a much larger client base, so when he realized the blank space in the vegan pizza market, he had both the knowledge and the connections to put One Planet Pizza in motion. 6 months later, the startup is about ready to launch and tackle the frozen pizza market which is worth 420 million Pounds (about 520 million US dollars) in the UK alone. The way they’re doing it is, in my opinion, an example of how to set yourself up for success – from getting the right people on the founding team, to getting well-connected supporters, whether it’s bloggers and social media personalities or partners and suppliers like Bute Island who can help you with distribution once you have your product perfected and ready to hit the shelves nationwide. And of course, a CEO with 25+ years of management experience in the leisure and hospitality industry. And going beyond that, One Planet Pizza also aims to be a company owned in part by their target customers – when we recorder this interview, their equity crowdfunding campaign for 20% of the business was just hitting its halfway point and showing no signs of slowing down. 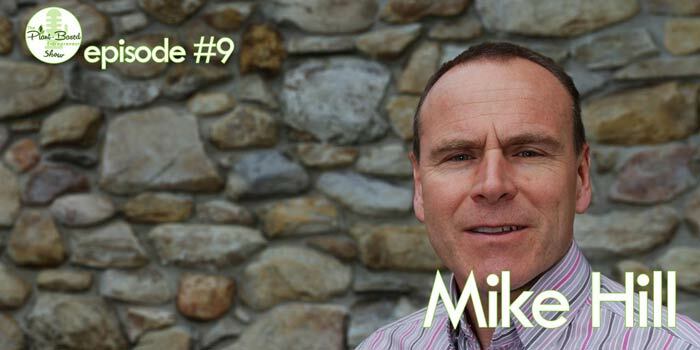 Which was of course a great opportunity to talk to Mike about the pros and cons of financing a vegan venture in this way, so we’re not just talking about food business and how to get in the frozen goods space. If you’re in the UK (or anywhere in Europe, actually, since this is their second phase of expansion), keep an eye out for this company because I think it’s poised to cut itself a nice slice of the frozen pizza market. And keep an eye out for Mike as well! You might spot him at a vegan festival promoting his products… or you might run into him (or with him, at least) at a triathlon – he’s been a vegan endurance athlete since way before it was a thing. But more importantly, he’s the kind of vegan who’s accumulated a whole pile of useful vegan experience and is looking forward to sharing it to help other companies grow. I’m happy we got to share some of it in this episode! Plant-based kebab prank video – Meat-Free Kebabs by Alternative Meat Co.
iTunes - Search for The Plant-Based Entrepreneur Show within the iTunes app or follow this link: https://itunes.apple.com/mx/podcast/plant-based-entrepreneur-show/id1203332540?l=en and select 'Open in iTunes'. Click on 'Subscribe' and you're done. To leave a review, find The Plant-Based Entrepreneur Show in iTunes, click on the show graphic, then select 'Ratings and Reviews' and click on the button 'Write a Review'. You rock! Email - Get on The Plant-Based Entrepreneur Insider List by clicking here or subscribing in the footer below with your name and email, and you will get links to all new episodes delivered straight to your inbox, along with other news from the rapidly expanding plantbased world and specials only shared with our tribe. 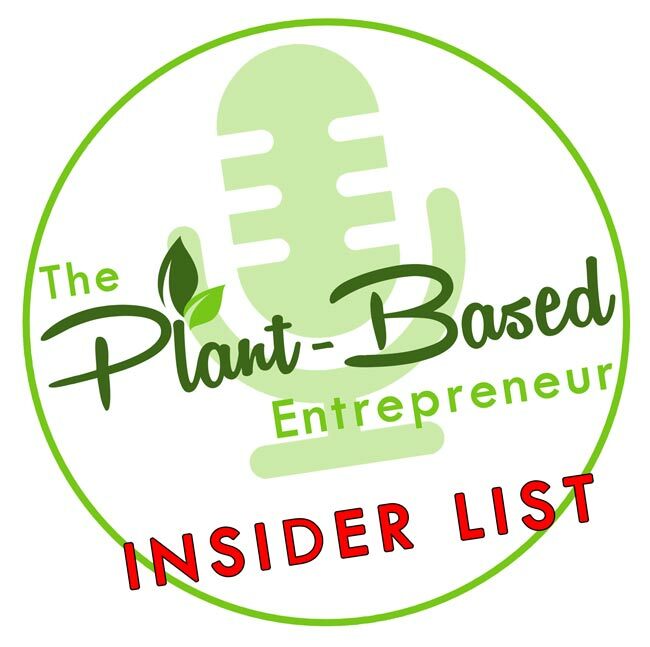 Enter your email to get The Plant-Based Entrepreneur Insider List. You'll get a short recap of each episode to your inbox every week, plus you'll be the first to know about other cool things happening on this site and the plant-based scene.